There is going to be a great deal of 'Hullabaloo" about this girl as she matures! 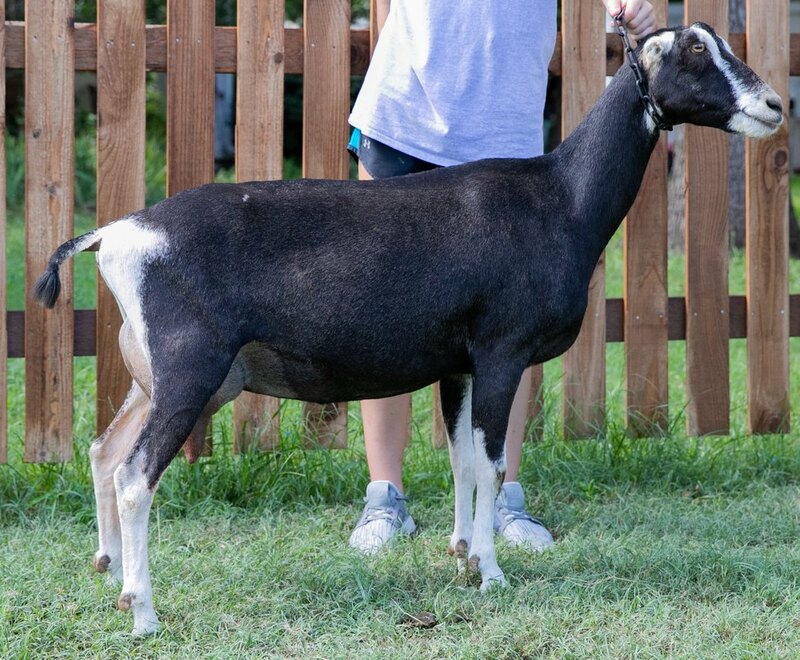 Her mother "Shy-Ann" is one of Latte Da's shining stars...going back to some classic lamancha genetics. 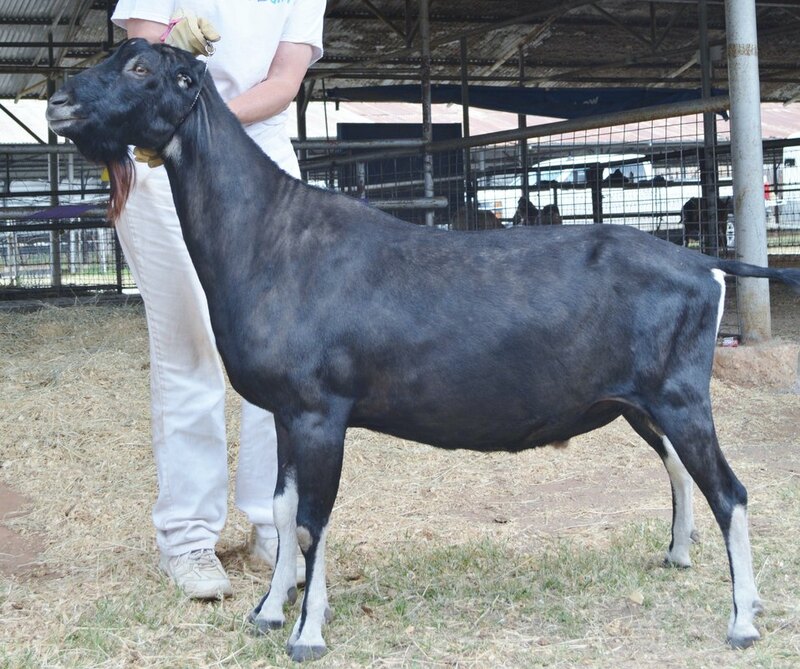 Hullabaloo easily got her junior leg at her first show. 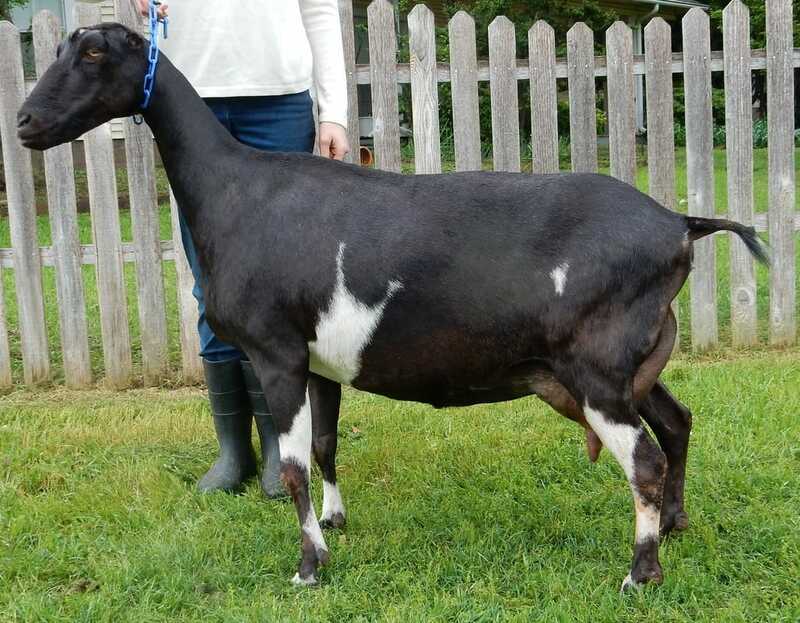 Stay tuned for some wonderful things from this doeling. 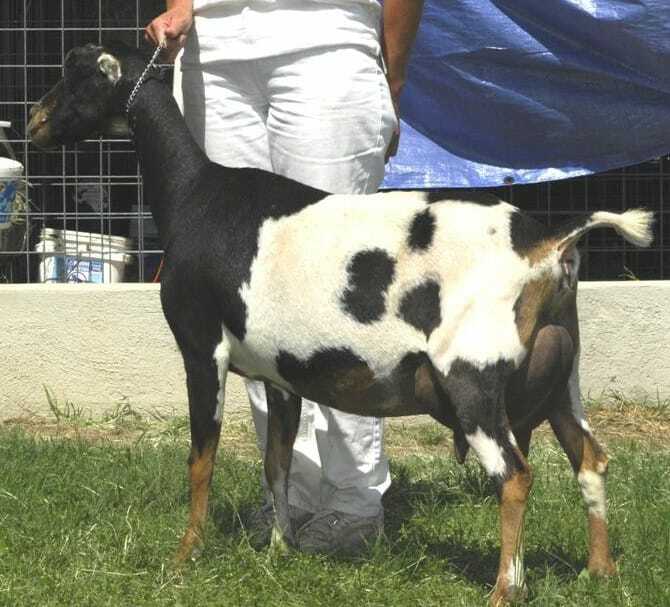 sire: Solan as he finished his CH with 4 Best Buck in Show wins!